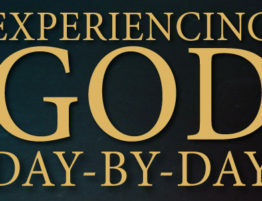 The story illustrates the relationship between God and His people. God has done everything necessary for us to produce an abundance of spiritual fruit in our lives. He saved us when we were without hope. He gave us His Holy Spirit to produce fruit in our lives (Gal. 5:22-23). He removed our sin so that we are free to serve Him. We have the Bible in numerous translations. We have access to more Christian books, music, videos, conferences, schools, radio and television stations, magazines, and seminars than ever before. There are churches of every kind and size. We have teachers and pastors to instruct us and encourage us. Most of all, we have direct access to God through prayer. Jesus said that to whom much is given, much is expected (Luke 12:48). One day God will hold us accountable for all that He has done for us. He will ask us to show Him the fruit of all of His bountiful provision for our lives. What will He find?